Moringa, a superfood supplement of exceptionally high nutritional value, supplies the metabolic system with necessary nutrients. Moringa tree leaves contain 90 different nutrients and 46 antioxidants. Due to its exceptionally high nutritional value, moringa stimulates the whole body, enhances energy levels and resistance to external influences. Rich in bioactive compounds, moringa regulates, activates, and speeds up the metabolic processes, boosts immunity, and cleanses the body from waste products. The antioxidants found in the plant interfere with the chain reactions initiated by free radicals, thus preventing the onset of diseases caused by overacidic environment. 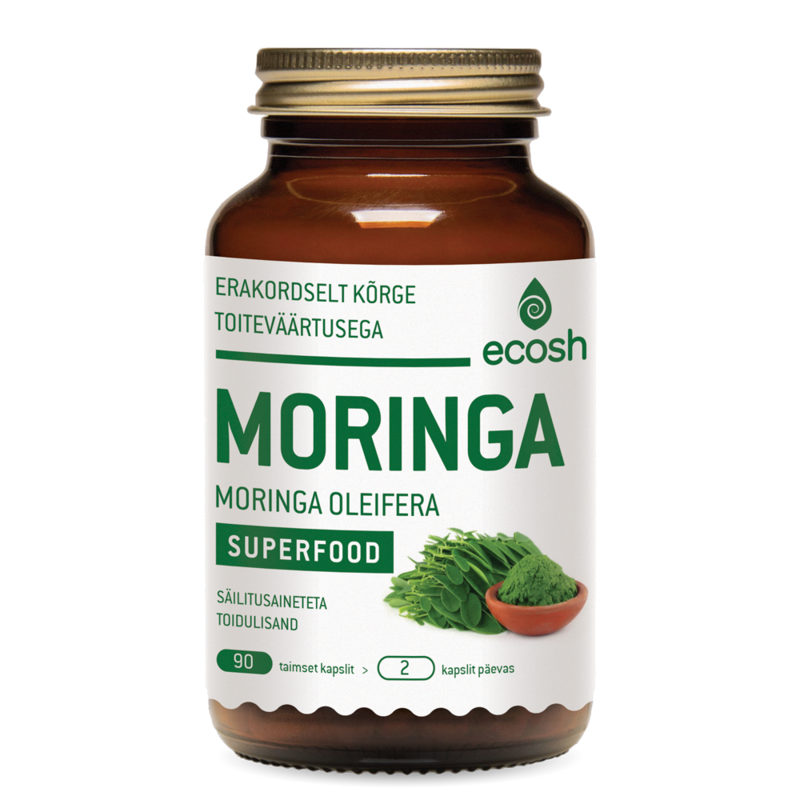 Moringa slows down the aging processes, lowers cholesterol levels, and atherosclerosis, heart disease and stroke risk, and helps prevent tumour development. Suggested use: 2 capsules daily with food. The contents of the capsule could be sprinkled and stirred into meals or the capsules can be taken with water with a meal. Recommended period of use: periodically.